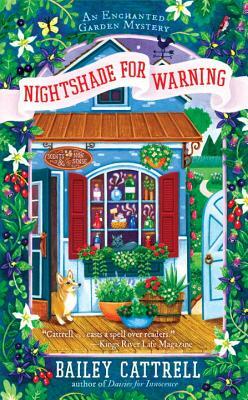 The second Enchanted Garden Mystery from Bailey Cattrell—author of the New York Times bestselling Magical Bakery Mysteries as Bailey Cates. Bailey Cattrell is the author of the Enchanted Garden Mysteries, including Daisies for Innocence. She believes magic is all around us if we only look for it. After earning degrees in philosophy and English, she held a variety of positions ranging from driver's license examiner to soap maker. She traveled the world as a localization program manager, but now sticks close to home, where she writes, cooks, and tends to a dozen garden beds. Bailey resides in Colorado with her guy and two felines: Cheesecat the Orange and Minerva the asthmatic wonder kitty.